This is what the latest generation of our ERA-TAC mounts with integrated inclination adjustment are designed to do. After loosening the cross bolts, the desired angle can be adjusted within a range of 0 up to 70 MOA with a 10 MOA gradation, by simply rotating the hand wheel. The mount and the scope can stay on the rifle during adjustment. Self-locking thread inserts ensure permanent and stable seating of both bolted connections. 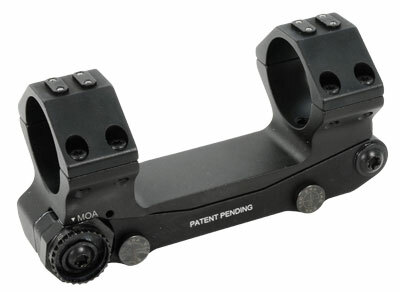 This robust and precise scope mount can be easily compared with our ERA-TAC one-piece mounts and additionally offers the shooter the possibility to mount the scope with the required angle, depending on application.